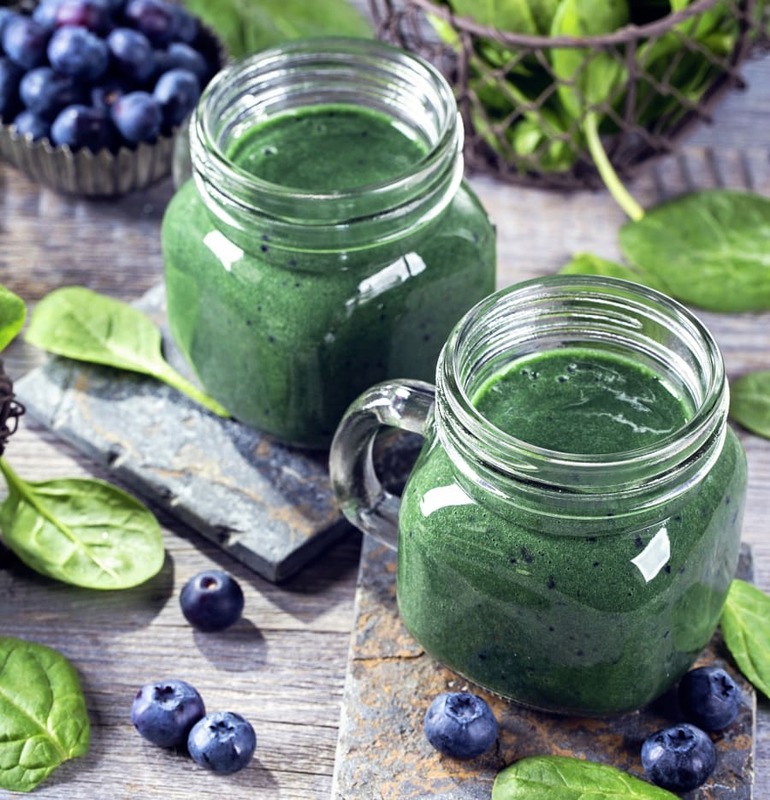 If you take a look at the health food aisle of your supermarket or chemist, you'll see an array of green 'superfood' powders, from kale and barley grass to spirulina and chlorella. These green powders are intended to be used in smoothies -- or sprinkled on top of breakfast bowls, in desserts and chia pudding, and mixed into plain water, if you can stomach it -- and many claim to be just as beneficial as eating the whole food they're based on. 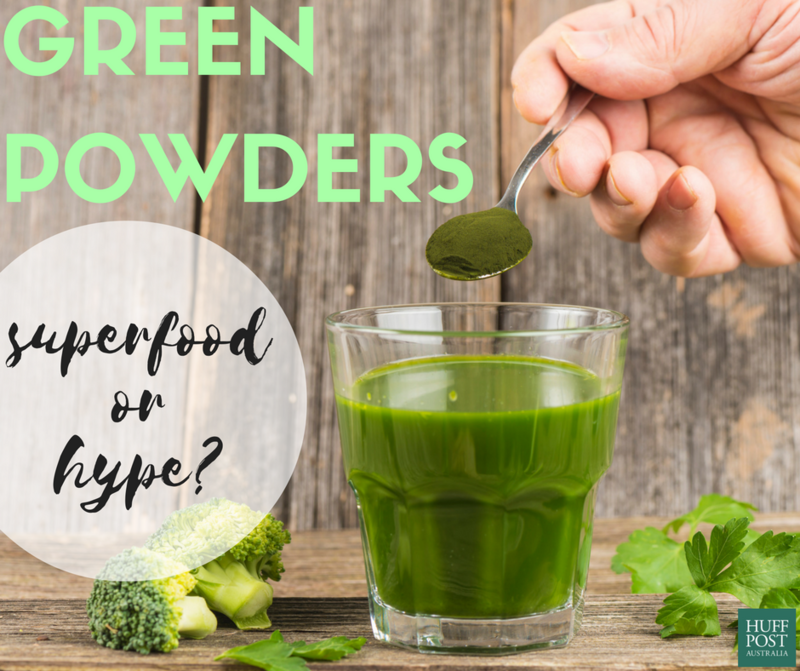 But do green powders really stack up, or are they simply superfood hype? 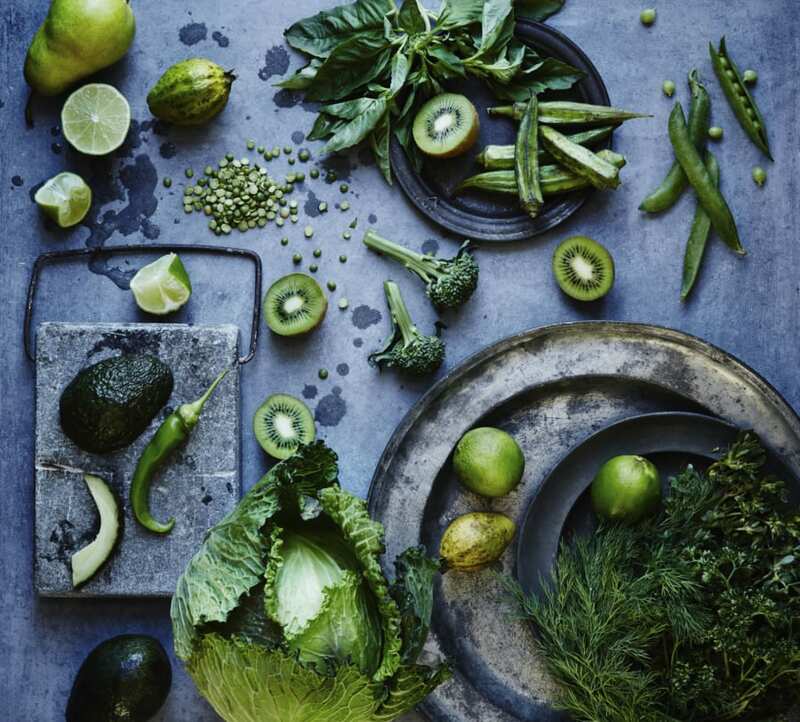 "I'm not a huge fan of green superfood powders, simply because they're a highly processed version of the real thing, and are not really a 'food' that we can cook up a meal with," accredited practising dietitian, Jemma O'Hanlon, told The Huffington Post Australia. "We don't have strong research to support any long term health benefits from consuming them, but we do have a huge body of evidence to support the consumption of 'real' fruits and vegetables. You know, the ones that you can pick off a tree and eat or pull out of the garden bed. "Superfood powders also lull us into a false sense of security, and make us think that it's okay if we don't eat our vegetables, when in reality, these powders are no substitute." Nutritionist Fiona Tuck, on the other hand, believes green powders can help supplement a diet. 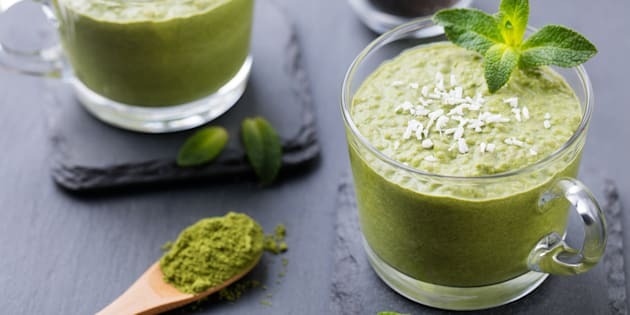 "Adding superfood powders to smoothies can be a good way to up your nutrient intake and ensure we are getting the nutrients we need from food," Tuck told HuffPost Australia. 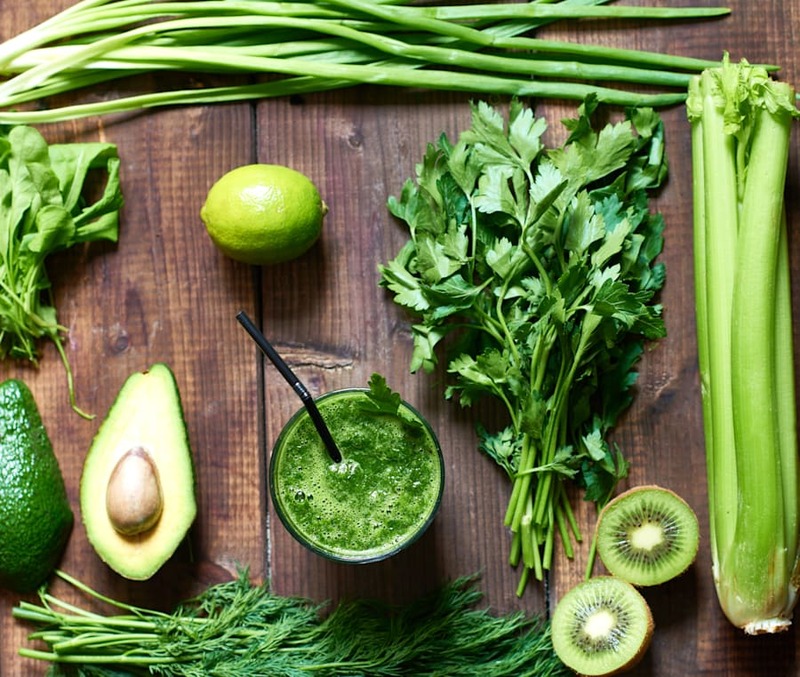 "Many Australians do not eat enough fruit and vegetables, so the green powders are a good way to increase our greens intake." Many green powders claim they are the equivalent of 'X' amount of vegetables, but according to O'Hanlon, this is very inaccurate. We really don't need these superfood powders in our diets. They simply put a big dent in our wallets with little return on investment. Green powders are not the same as eating the whole vegetable. "There's two things that are missing from these superfood powders: the water content which real vegetables contain, and the dietary fibre which is abundant in all vegetables, both the soluble and insoluble types," O'Hanlon said. "The water content and the dietary fibre interact together in our bodies to help us feel fuller for longer. These are the missing links in these superfood powders, and although they might claim to provide a dictionary of vitamins and minerals, we're missing out on the whole satiety factor that we get from eating real veggies." "Powders are processed forms of fresh vegetables so eating fresh is always best," Tuck added. "The processing of the powder can lower the nutrient value considerably." If you're only using green powders and not eating whole foods, O'Hanlon warns there are potential risks of people getting too much of one vitamin and too little of others. "There are some vitamins that we can actually have too much of, and if we have too much it can lead to toxicity in the body. For example, too much vitamin A can lead to hypercarotenemia, which is a yellow discolouration of the skin. Yep, people can actually go orange in colour," O'Hanlon said. "Now, while it's very hard to eat too many carrots, it's very easy to overdose on a superfood powder." Go for these guys instead. If you do use green powders, Tuck also urges people to note any changes in digestion. "Eating [vegetables] in raw powder form may not be the most beneficial way to absorb the nutrients, especially on a regular long term basis," Tuck said. "Kale when eaten raw or in raw powder form, for example, can be quite tough on digestion, leading to tummy cramps and bloating in some sensitive individuals." If you are still interested in supplementing your diet with green powders, Tuck recommends focusing on the quality. 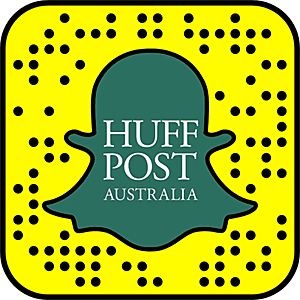 "Not all powders are the same, and quality and nutritional content can vary greatly," Tuck told HuffPost Australia. "Price can be a good indicator of quality, and the more pure the extraction process and quality of ingredients, generally the more expensive the powder. Look for powders that are organically or chemically free grown and that are cold pressed or water extracted for maximum nutrient value." To get the most out of your smoothie, blend whole fruit and veggies. But the bottom line is this: although it's tempting to believe that the powdered form of vegetables are just as good, you're far better off eating the original whole food. "We really don't need these superfood powders in our diets. They simply put a big dent in our wallets with little return on investment," O'Hanlon said. "Eating a rainbow of coloured fruits and veggies every day is the best way to get all of your superfood goodness." "It's all about moderation and balance. Eating too much of any one thing, even green powders, is not advisable," Tuck said. "Rotate and vary your diet, so include different fresh fruits and veggies daily with every meal. The more variety in your diet the more likely that you will obtain the necessary nutrients that we need to keep fit and healthy."